The Chinese government is working with domestic Internet search engines like Baidu Inc and Sohu.com and financial institutions to prevent phishing attacks on unsuspecting Chinese web users. The Chinese government has announced that it will work together with 10 Chinese search engines. The user IDs, passwords and email addresses of more than 6 million accounts registered on CSDN, a site for programmers were leaked as we reported last week. The popular social-networking site Tianya was also hit by hackers last week. The Ministry of Industry and Information Technology said on Wednesday it would investigate the hacking incidents. In the U.S. data theft and hacking have become very common over the last few years. Recently, hacker group Anonymous hacked into the servers of security firm Stratfor and stole credit card and other personal details on thousands of users of the site and its services. The U.S. isn't alone in fighting hackers, China is having its issues with hackers and data thieves as well. The move has been taken by the government following the hack attack that resulted in the theft of sensitive personal credentials of over 45 millions online banking customers in a string of separate attacks. Through the collaboration, the official websites of several Chinese banks, such as Agricultural Bank of China and China Construction Bank will be ranked first in the search engine when a user searches for the related keywords, reducing the risk of such attacks. China is widely suspected of being the origin of many hacking attacks on government and commercial websites abroad, but officials have repeatedly dismissed reports that the government or military could be behind such attacks. 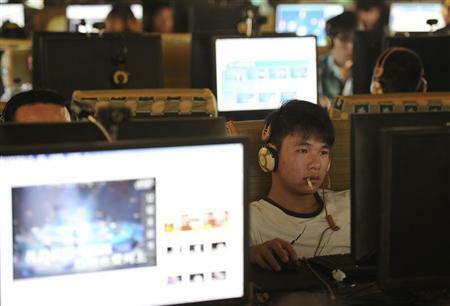 The Chinese government is known to have put in place technology that monitors online chat rooms for controversial topics but the far-reaching measures have not stopped all nefarious cyber activity.